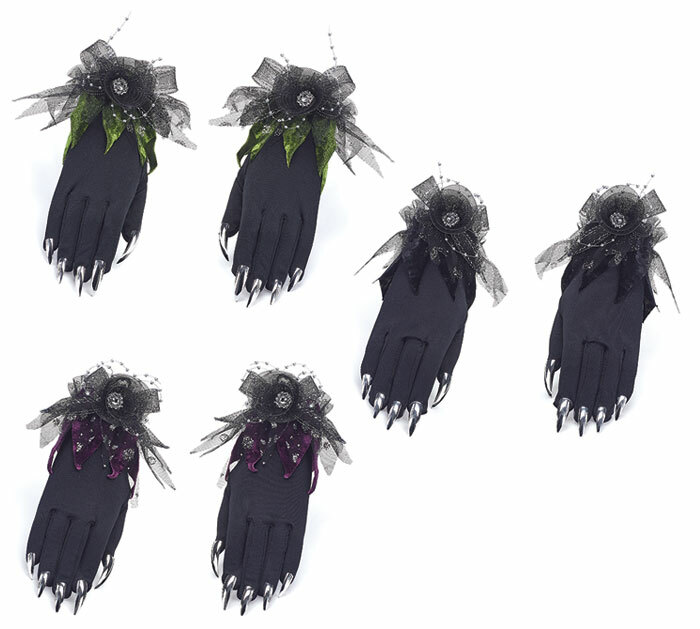 Assorted black gloves with black, purple, or green velvet at cuff and sliver fingernails. Each glove is accented with black bow. One size fits most.